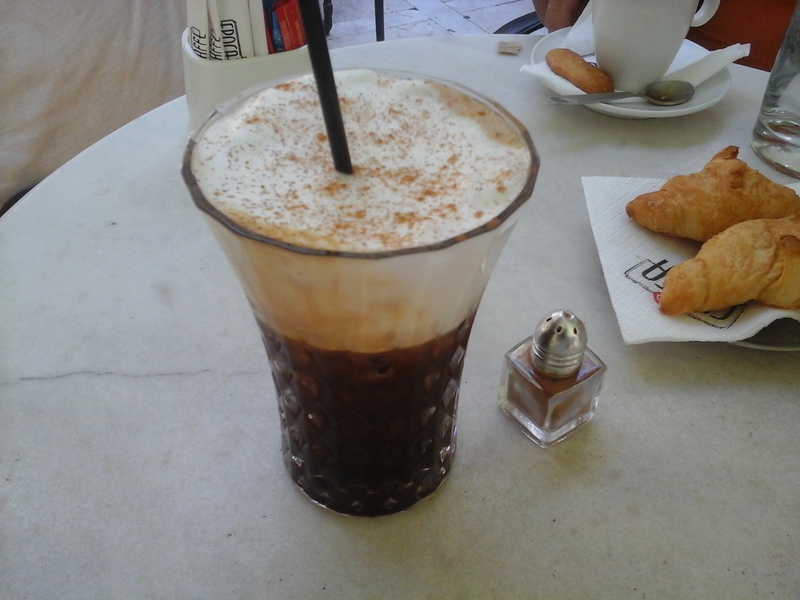 This is my all time favorite coffee, the Cappuccino Freddo, otherwise known as Iced Cappuccino Coffee. During the summer I do love to drink cold java, but unfortunately I am not able to find this type of coffee in my neighborhood, only if I go into the city center where there is a Starbucks that sells something similar to this but not exactly the same. So when I do go to Greece this is the first thing I buy once we enter the country. A) The tablespoons and/or shots depend completely on how strong you like to drink your coffee, and so since I do enjoy drinking strong coffee I use 2 shots. Set coffee aside for a while to cool off before adding into Ice cubes. B) Add coffee into a tall glass filled with Ice cubes, along with the sugar. Stir until Sugar has completely dissolved. Since I don’t add sugar into my coffee but enjoy just a splash of syrup this is also up to you how sweet you drink your coffee. C) Use a Frother to beat the milk until it becomes thick and foamy. Top off the coffee with foam and a dash of Cinnamon. Wow ! This looks yummy, creamy, frothy, and tempting !! This recipe looks amazing and I love coffee. What other recipes from your blog should I try?